The following message has been sponsored by KOKOON. Visit the site to learn more about becoming a Stylist today. KOKOON is a thirty-year-old direct sales clothing company founded by Laine Sou Weinberg in Minneapolis. Weinberg took over this project along with her then boyfriend and now husband, Richard Weinberg. The name KOKOON has Finnish origin and means ‘together’. The purpose of this brand is to provide women an opportunity to get access to a feminine styled comfortable wardrobe that they can feel confident in. The selling process of KOKOON includes direct selling to trendy women either online or through independent stylists that have become a part of the KOKOON team. Considering the different wardrobe needs that a woman has, KOKOON has come up with a variety of ideas for its clothing line. While there are many feminine-styled dresses that you can choose for cocktail parties, there are also comfortable t-shirts and pants that you can wear for a casual look. All the clothing items are made exclusively in the U.S., something that the owner feels proud of. KOKOON offers women a chance to become a part of their team by becoming a stylist. There is no need for the stylists to purchase any of the samples and there is a commission given to the stylist ranging from 20-27%. The startup cost of kick-starting your journey as a stylist requires as little as $250 only. There are also many bonus opportunities that the stylists can benefit from such as travel and contest incentives. 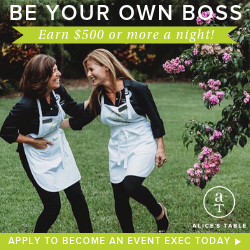 If you decide to become a hostess and want to plan a laid-back event where you can have fun while trying out clothes with your girlfriends there is an option to do that too. If you manage to pull off a show worth $2000 you will be able to get free clothes worth $200. There are also other discounts that are offered depending on the sales that are raised. To keep the motivation going, there is a discount for whatever amount you raise through your event. Hostesses earn 10% of the purchases made by the guests and get free clothes. Thus giving you more motivation to call all your girlfriends to the event and have an amazing time. Being a part of a contemporary fashion brand such as KOKOON is exactly what you want. Apart from all the wonderful benefits that you get to enjoy through the journey of becoming a stylist, there are also many things to learn from fashion experts around you. Moreover, there is nothing better than the fact that you get to use your fashion sense to earn some extra money. There is nothing more exciting than becoming a part of such an amazing brand and avail all the unique opportunities that come along. Signing up with KOKOON as a stylist or a hostess can be done easily by visiting their website. So, if you have a passion for fashion and want to earn some free clothes while you are doing what you love the most, become a part of KOKOON today. Visit the KOKOON website to learn more about becoming a Stylist today. If I want to start, how are payments made and how are goods delivered to me in Accra, Ghana? The company is only open to US residents at this time.